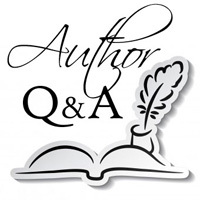 We are delighted to welcome author Greyson Bryan to Omnimystery News today. Greyson's new first in series international thriller is BIG: Beginnings (Greyson Bryan; June 2016 trade paperback and ebook formats) and we had the opportunity to spend some time talking about it with him. Omnimystery News: Tell us a little more about some of the business strategies that are featured in BIG: Beginnings and in the next two books in the series. And were you really involved in a deal involving harvesting logs from an underwater forest? Greyson Bryan: Beginning in 2001, I began to advise U.S. financial institutions which were just starting to look to emerging markets as places of great opportunity. In fact, the acronym "BRIC," for Brazil, Russia, India and China, was coined in 2001 by a Goldman Sachs investment banker. Needless to say, emerging markets may offer great opportunity but they also present legal and reputational risks quiet different than North America or Western Europe. For the next twelve years, I advised Goldman, Sachs and other clients on literally hundreds of matters arising from their growing activity in emerging markets, including an investment in a company planning to harvest underwater timber from a lake in Ghana. OMN: If you had been working on deals in emerging markets for more than a decade, what prompted you to start writing about them fictionally in 2011? GB: I'm sure some desire to explore writing fiction had lurked in my subconscious for years. And for a number of years several friends with whom I shared some of the details of my practice in emerging markets found them fascinating and dared me to write a novel based on my work as an international business lawyer. But I just laughed. Who had the time? Then one day in 2011 I found myself on a flight to Washington, DC. Without really thinking, I took out my laptop and began to tap out a list of some of the more intriguing transactions I'd worked on. The list included the investment in the harvesting of underwater timber I just mentioned as well as the financing of a small Channel Islands company engaged in West African oil exploration and a Nigerien uranium concession. These real-life deals were eventually adapted into the backdrop for the three BIG novels. OMN: Where did the title BIG come from? GB: I know it sounds counterintuitive, but, for some reason I needed a title before I started to write. Something to make the project concrete, I guess. So, before I wrote a word, I took the name for the tentative title from the acronym for the organization many of whose talented members had become my friends and colleagues: the Business Intelligence Group at Goldman, Sachs or BIG, as it's called. Of course, in the book, BIG originally stands for the Bingham International Group, an investment firm specializing in high-risk emerging markets, and then at the end of the first book and throughout the series, the Bingham Intelligence Group. OMN: As a lawyer yourself, why didn't you make a law firm the institutional center of the action? GB: I wanted to make the story primarily about the business risks from investing in emerging markets not about the legal issues. Besides, having worked for more than thirty years in a law firm, I had a hard time seeing how I could make it interesting enough. Also, because I worked primarily with bankers and in-house lawyers doing deals in places like the BRICs and South Africa, Nigeria, Indonesia and Argentina, it seemed natural to make a small private equity firm specializing in emerging markets the backdrop for the story. OMN: Why did you choose Los Angeles as the city where BIG is based instead of New York or Washington, where I would guess most of these types of investment firms are based? GB: I know all three cities, of course, but I grew up in LA and had been living there for two decades when I climbed on the plane to DC in 2011. I know the business, cultural and social scenes in Los Angeles well and I felt placing Bingham in Los Angeles would make it standout more than if it were in New York. OMN: And I would guess that having raised your children in Los Angeles played a role in basing the story there? GB: Absolutely, I'm sure it did. One of the two main characters, Duncan Luke, and his autistic son, Sam, emerged from my own experience as a single father raising a daughter on the autistic spectrum in Los Angeles. Duncan is a high-priced, burned-out lawyer who decides to leave practice to teach so he can devote more time to his family, a decision that precipitates a family crisis and forces him to take one last lawyer job at the risk of losing his son's love. As a Los Angeles lawyer with a fascinating but demanding practice and from many conversations with other frustrated, exhausted individuals trying — and often failing — to meet the competing demands of their careers and families, it was easy to imagine and write about the emotional turmoil swirling inside Duncan. OMN: We'd like to hear more about Duncan and the other main character, Ghislaine Bingham, and your decision to have two protagonists and make one of them a woman. Perhaps in a subsequent Q&A? GB: I look forward to it.